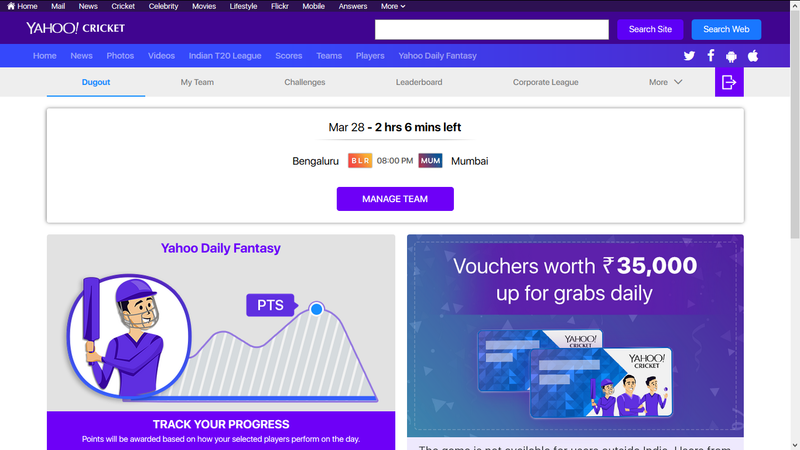 Yahoo Cricket, part of Verizon Media, has launched its Daily Fantasy Cricket Game. This comes just in time for the big-battle cricket season ahead. 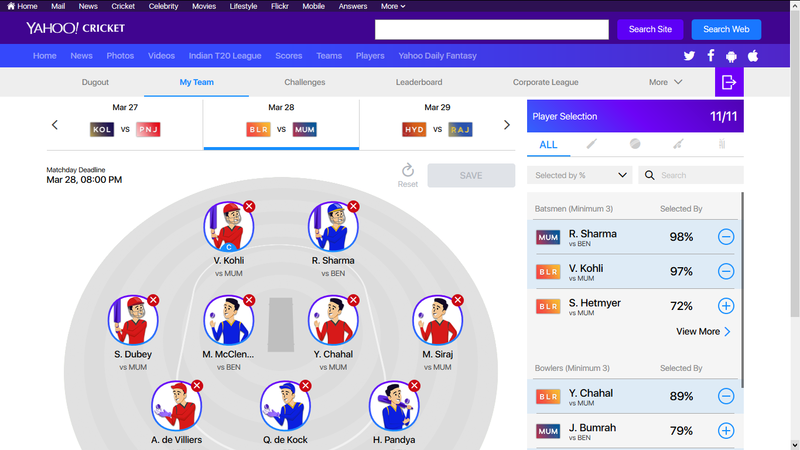 As part of the game, users can customise their teams based on the Indian T20 league daily matches. Alongside bragging rights, winners will receive e-vouchers worth INR 7,500 per game day. The ultimate Yahoo Cricket Daily Fantasy winner stands to win a tournament prize of e-vouchers worth INR 100,000*. Fantasy Cricket has been fast gaining popularity in India. It is widely acknowledged as a game of skill, where users compete against each other virtually, creating teams with ‘real’ players. Players are awarded points based on the real player’s performance during an actual match. From merely following the sport, fantasy games encourages fans to develop a deeper interest and involvement in the game, growing overall engagement. 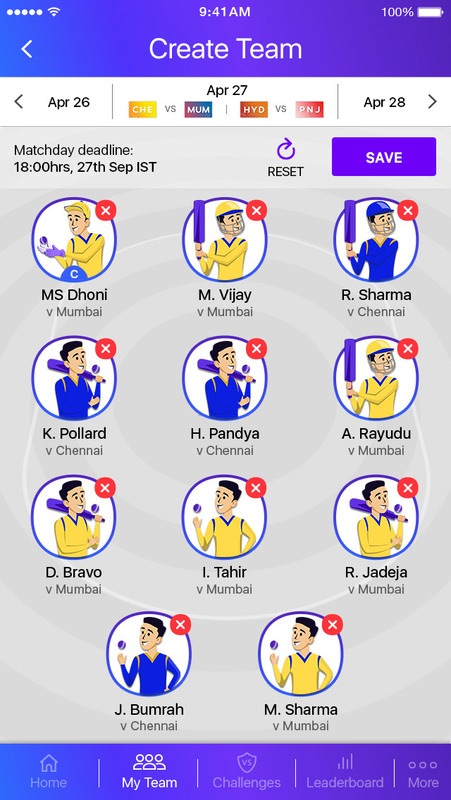 There are currently about 40 million users playing Fantasy Cricket in India, with numbers continuing to rise exponentially. According to industry reports, the fantasy sports market in India is expected to grow to 100 million users by 2020. Yahoo Cricket Daily Fantasy experience draws from our US counterpart’s proven expertise in fantasy sports. Yahoo Fantasy Sports has been rated as the #1 Rated Fantasy App in the US, known for its ‘player favourite’ features. This fan-first approach to Yahoo Cricket’s Daily Fantasy Cricket Game continues our track record of serving up innovative and award-winning fantasy experiences and products. Cricket fans in India can expect the same winning experience, localized for their favourite sport -- Cricket. The game comes loaded with features that create an immersive experience for fans. Players will be able to create and manage their own game day cricket team, challenge friends to play and track who tops the leader board. The Daily Fantasy Cricket also offers a ‘corporate league’ option, amplifying the fun for larger groups. 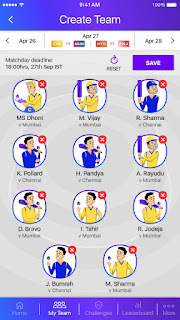 · Users select 11 players: Minimum 3 batsmen, minimum 3 bowlers, minimum 1 wicket keeper and 4 players of any skill that the user wishes to choose. 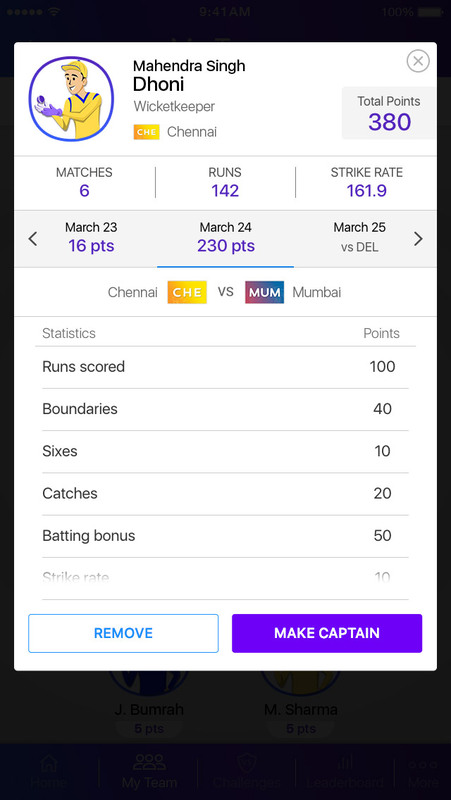 · Users can look at a player's current T20 league statistics in detail within the game, to make an informed decision while picking a team. · They can get info on the ‘most selected players’ before a match day begins. · They can see ‘live points’ during the course of a match. · A ‘top scoring’ players widget helps users understand the players who scored the most fantasy points for the day. · Users can invite friends to a ‘Head to Head’ challenge by sharing a challenge code. · Stay ahead, win big: Users who rank high on the leader boards will be eligible to win daily, plus a bumper tournament prize*.